Learn the Tested Secrets that Allow You to Persuade Others! Your ability to persuade your followers to do what needs to be done will determine whether you succeed in your leadership position/roles or not. 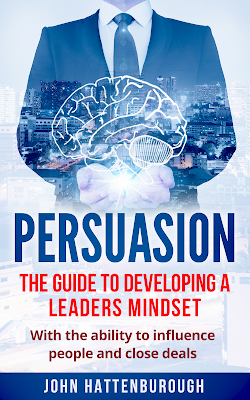 Mastering the art of persuasion will equip you with the verbal and non-verbal charisma you need to influence the people you lead to get the result you want. Persuasion goes beyond the work place and leadership. In fact, life is a game of persuasion. Your ability to persuade and influence others goes a long way to determine how much your home or car costs, the job you get, the spouse you get, the friends you attract and keep. The more persuasive you are, the more influence you will wield to attract what and who you need into your life. Whatever your motivation for mastering the art of persuasion and influence might be, this book contains all the answers you seek with regards to what persuasion really means and what it entails, the mindset of leaders that make them super influential, how you can acquire such mindset, and how you can become more persuasive and influential. Once you finish reading this book, you will be ready to persuade anyone to do what you want.